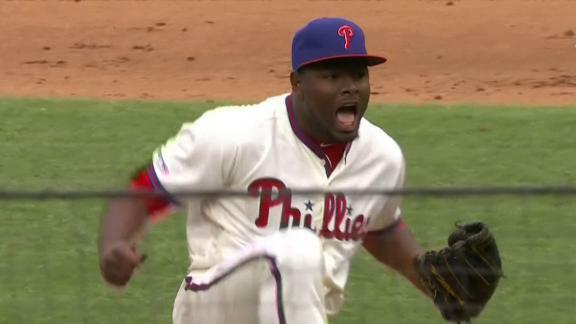 With the bases loaded and two outs, Hector Neris strikes out Keon Broxton to seal a 3-2 Phillies win over the Mets. 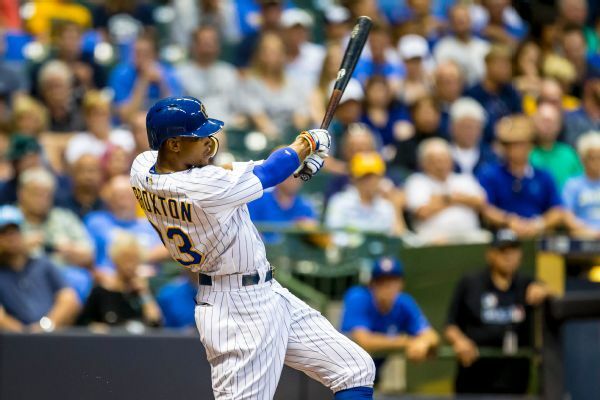 The Mets traded for Brewers outfielder Keon Broxton on Saturday, sending right-hander Bobby Wahl and a pair of minor leaguers in return. 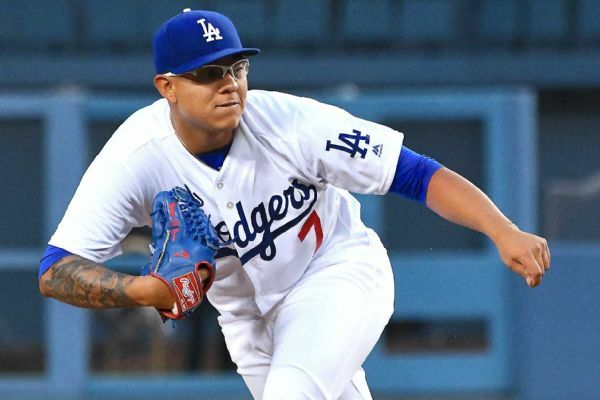 The Dodgers made a surprising decision with their National League Championship Series roster, adding 22-year-old phenom Julio Urias as part of their bullpen mix. 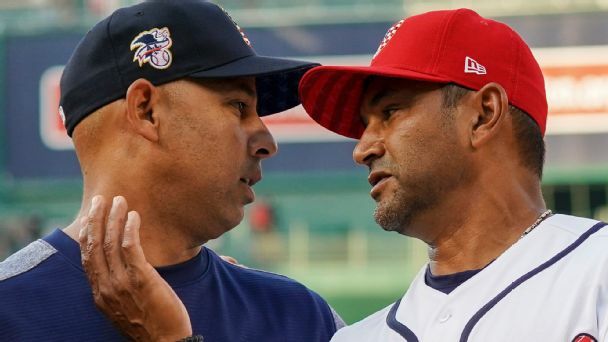 While Red Sox manager Alex Cora leaned heavily on closer Craig Kimbrel, Nationals manager Dave Martinez did his ace, Max Scherzer, no favors. 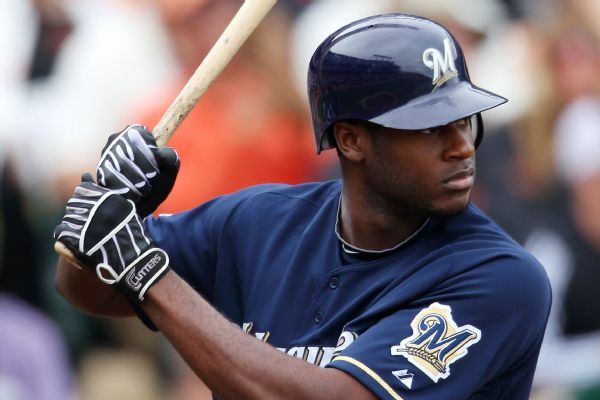 Brewers OF Lorenzo Cain, who left Saturday's game with groin tightness, has been placed on the disabled list. 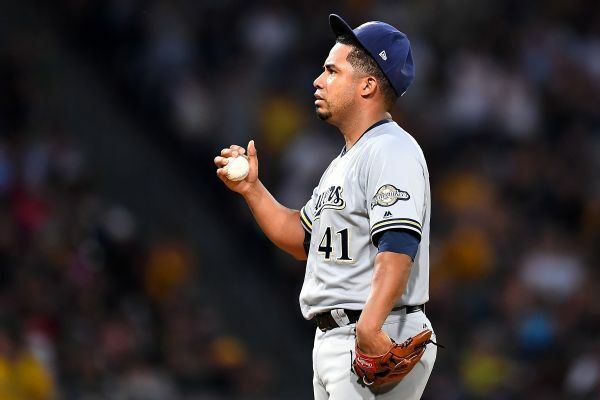 The Brewers have optioned Junior Guerra, their Opening Day starter a year ago, to Triple-A Colorado Springs and told Yovani Gallardo that he will not make the team. 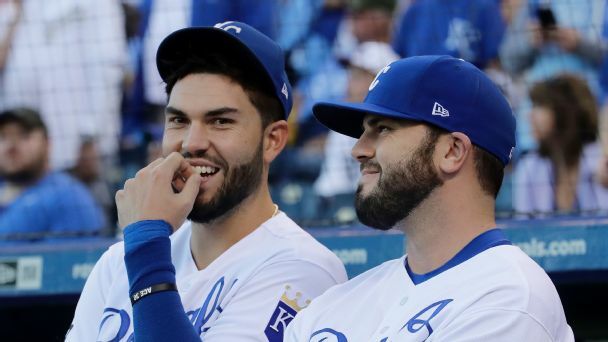 The National League Central became a bit more interesting as the Brewers added Lorenzo Cain and Christian Yelich to the lineup on the same day. 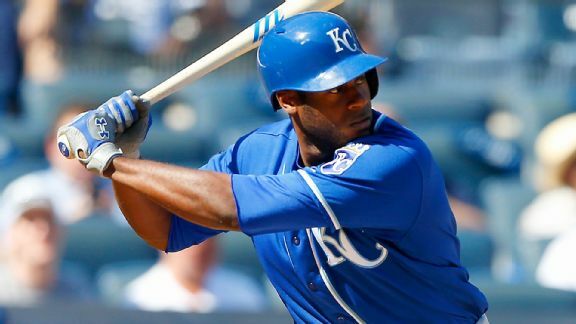 Lewis Brinson leads the list of players Miami acquired in the deal, which included two top-100 prospects. 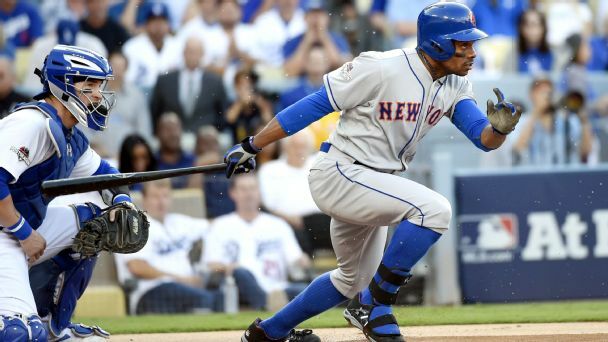 Rumor Central: Brewers interested in Curtis Granderson? The Brewers are looking for outfield help and have kicked the tires on the Mets' Curtis Granderson.